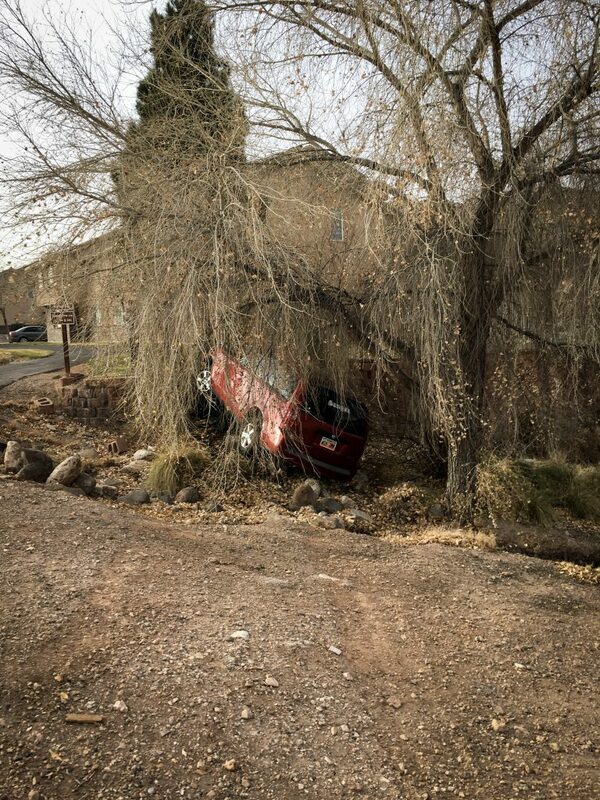 ST. GEORGE — An early morning crash startled some residents of the Fountain Heights apartment complex Saturday. 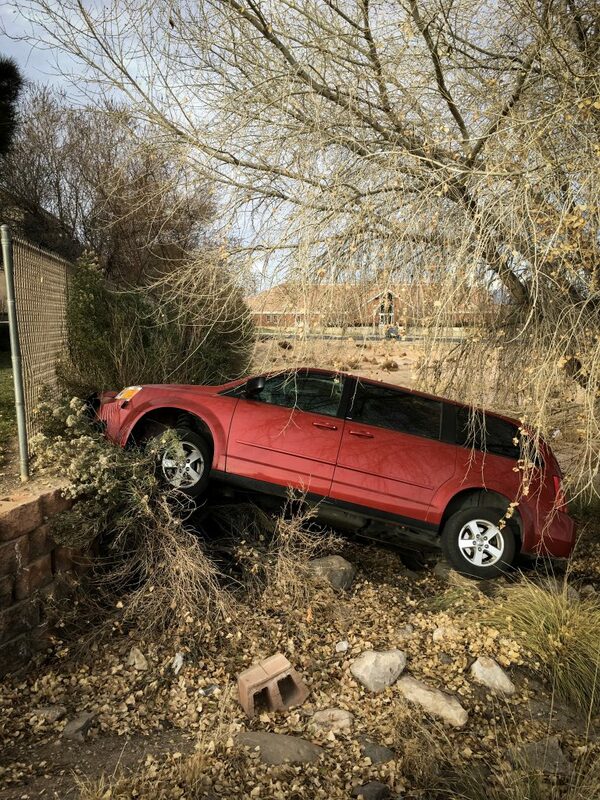 St. George Police Officer Phil Lewis said a red minivan was turning right onto River Road from Brigham Road at around 8:45 a.m. when the driver apparently fell asleep. 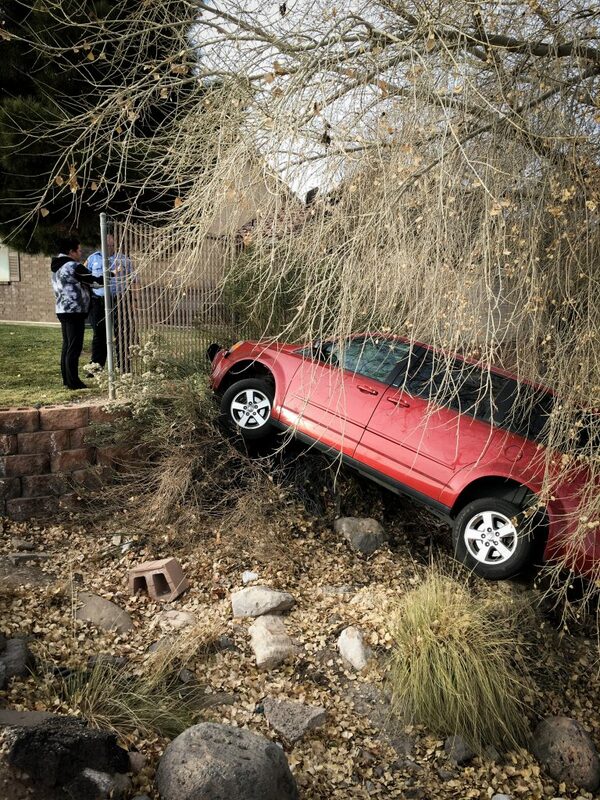 The van veered off the road and into the ditch next to the apartments, crashing into the block wall. The van was wedged in between some rocks, and a tow truck finally was able to remove it about 45 minutes later. No citations had been issued, Lewis said.